The other weekend I had an errand to run in the East Village and when I was done I was hungry. 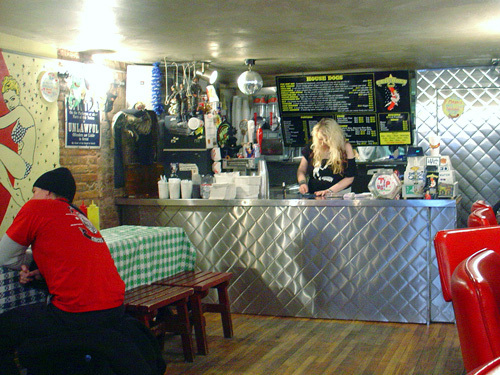 I first made my way over to Crif Dogs (113 St. Marks Place between 1st Avenue and Avenue A). Their dogs are made of naturally smoked beef and pork. 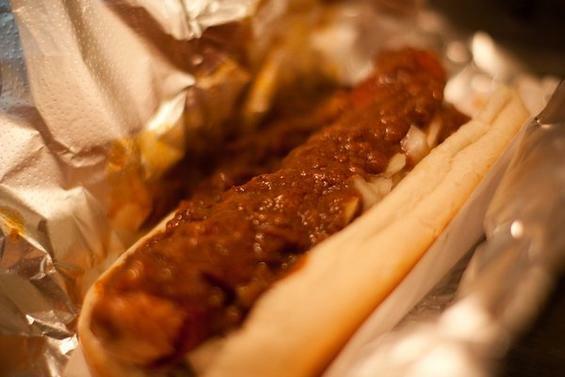 I had one of their Chili dogs which comes smothered with mustard, onions and their secret chili sauce. I have to say I wasn't crazy about the taste of their dog. As a native New Yorker, I'll take the one from a Food Cart any day over this one (I know. I know. They're made of things I wouldn't even want to know, but they are oh so good!) But, it was still fun to try. They have a menu of dogs with pretty much any topping you can imagine, and if you don't find one you like, you can order one up any way you like it. After that I wanted to head to Butter Lane- perhaps one of my all time favorite cupcake places in the city, and I realized it was just around the corner! As I was walking to Butter Lane, I came across First Avenue Pierogi and Deli (130 1st Avenue between 7th Street and St. Marks Place)- a truly authentic little place which makes some of the BEST pierogis I have ever tried! Seriously, whenever I crave pierogis from now on I will go here. I ordered the potato and cheese ones to go and made them at home. They have everything from potato and onion, to sauerkraut and mushroom to meat. They also sell cheese blintzes which I didn't get to try, but have heard they are awesome. Anyway, it was a great find and made us want to continue our little Food Tour. 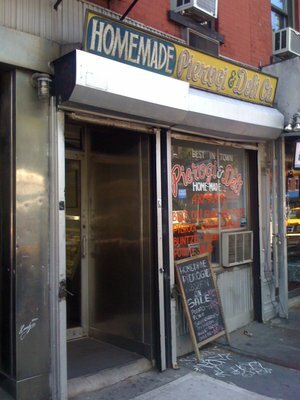 A couple of doors down from there is South Brooklyn Pizza (122 1st Avenue between 7th Street and St. Marks Place). Wow! This place could easily be missed. In fact, it looks more like a cheese shop than a pizzeria on the outside. 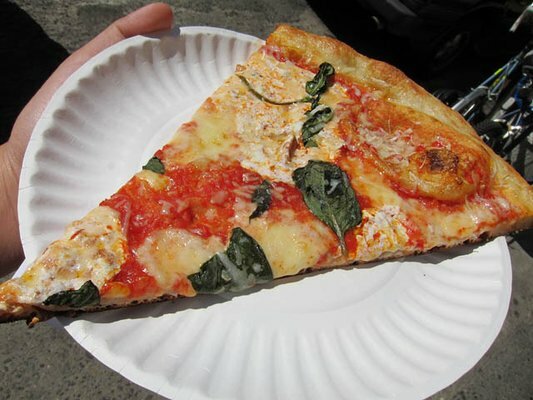 This might just be one of the best slices in this part of the city. It is perfect. It is fresh. You don't go here to sit...instead, grab a slice of their neapolitan margherita pizza (with fresh creamy mozzarella and fresh basil) and put some of their roasted garlic on it and eat it standing up or on the go...amazing!!! 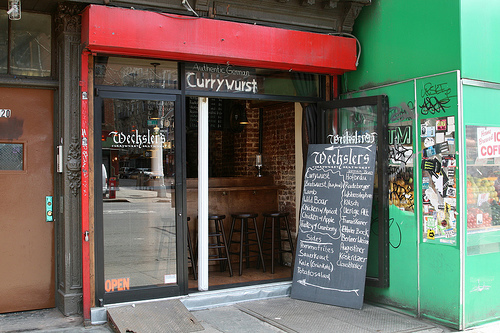 Then a few more doors down from South Brooklyn Pizza is Wechsler's Currywurst and Bratwurst (120 1st Avenue between 7th Street and St Marks Place)- a German beer and sausage place- how great!!! The line at this place was insane, and we were pretty stuffed from hot dogs, pierogis and pizza at this point- so we didn't try it, but have it on our list to try in the future. 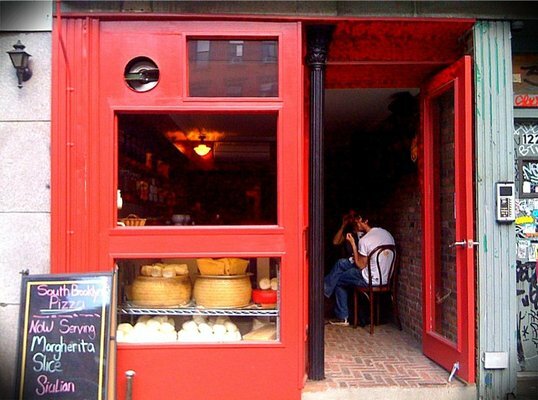 Afterwards, we finally made it to Butter Lane (123 East 7th Street between 1st Avenue and Avenue A). 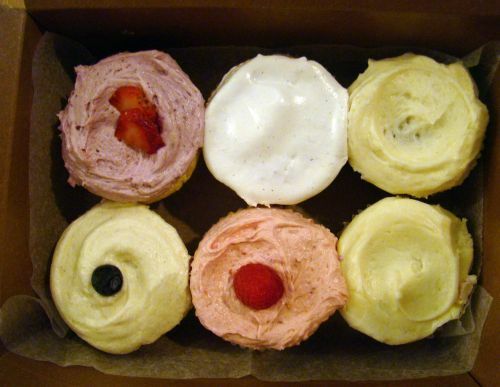 Their cupcakes are soft and delicious and made from all natural ingredients. They are dense, but not too sweet. You can choose between one of three different types of cakes (vanilla, chocolate or banana), and then you can choose your icing. My favorite is the banana cake with vanilla frosting...oh my gosh, I'm drooling just thinking about it! Bottom line- this place is so good, and I have tried a lot of cupcake places in New York City. So, who knew that 7th Street and St. Marks Place was such a good foodie destination?!? 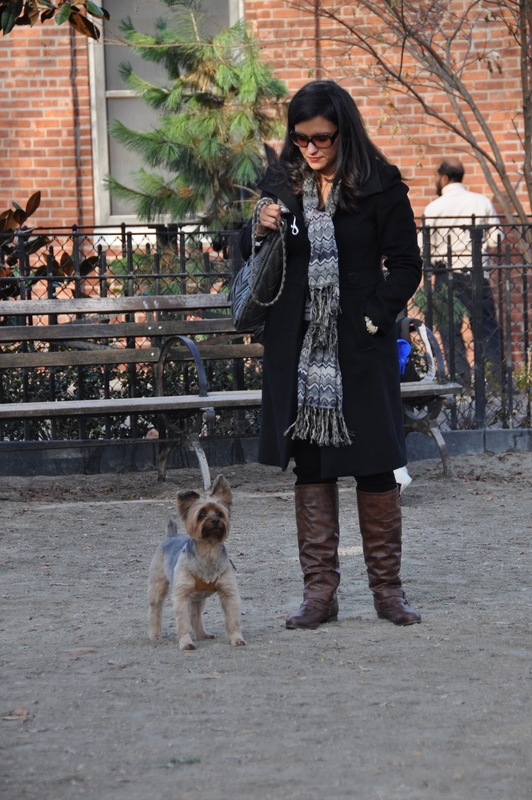 Plus, Tompkins Square Park is just across the street and has a great dog run...Riley loved it! Do you guys know about any other good One Block NYC Food Tours? If so, leave me a comment.